In the wake of classic games like Knights of the Old Republic and Battlefront II, there has been a serious draught of quality console Star Wars titles. With the release of Star Wars: The Force Unleashed still months away, how will Jedi wannabes curb their Darth addictions? Thankfully, the multiplatform Lego Star Wars: The Complete Saga is not only a great Star Wars title, but a must-play for gamers and children of all ages. 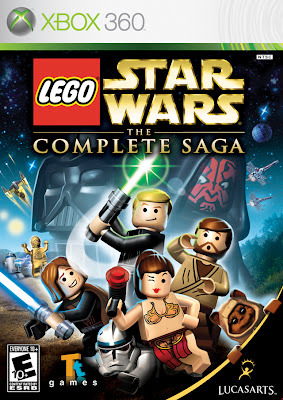 While it’s not necessarily anything new—Lego Star Wars hit consoles in 2005 with the Original Trilogy follow-up the following year, this title combines all six episodes of the film series, Lego-fies them and adds the allure of online cooperative play (Xbox 360 version, pictured here) to give you more bang for your bantha. The game infuses the Star Wars saga with a playful, irreverent sense of humor that’ll give you a chuckle whether or not you kneel at the altar of George Lucas. All of your favorite characters are here, and so is Jar Jar Binks—even by now, that guy must realize that he’s nobody’s favorite.